A former critical care doctor, Parsons identified a growing need in the industry for fast and accurate diagnosis during the Swine Flu pandemic in 2009. The Swine Flu death toll is said to have killed up to 209,000 people. Recently, Parsons spoke with Finfeed’s Justin Ware to discuss Ellume’s strategic partnerships and the tech behind its product suite. Justin Ware: Thanks for joining me today Sean. Dr Sean Parsons: Thank you for having me Justin, shall we get to it? JW: Absolutely: what served as the inspiration behind Ellume? SP: In 2009 I was working in an emergency department in Queensland. There was a lot of people coming in to emergency with Swine flu. Crazily enough, as many people as there were coming into emergency with this condition, it was just the tip of the iceberg. As there were so many people in emergency or seeing their GP, the strain on our system was quite substantial, it served as a transmission avenue and infected more people. There was even more patients suffering in silence at home. As a result, I took a step back and asked myself how we could streamline the system and expedite accurate self-diagnosis. What if we created a self-diagnostic solution that could then forward the test result onto the GP/hospital for treatment? That’s really how Ellume got started and where the name came from as well: we wanted to create a device/diagnostic kit that would ‘illuminate’ and ‘enlighten’ the user about their current condition. JW: What are Ellume’s different digital devices? SP: Our flagship product is a home flu test. We’ve partnered with a company called GlaxoSmithkline (GSK consumer) to distribute that and we’re now in the final stages of clinical trials. That’s been in development for several years now. The product connects to a smartphone, with the app providing instructions on how to use the kit. Users can then connect to a GP/medical clinic to forward on the test results and receive treatment. Obviously developing the tech behind this has taken some time, but we’re aiming for a 2020 commercial release and remain on track to achieve that. Our second product is geared towards tuberculosis (TB) – particularly latent TB. As you may know, latent TB is when a patient is infected with the TB virus but it’s inactive/dormant. Around 10% of people with latent TB will go on to develop active TB, that’s 10% too many. We’re finding there’s still a lot of latent TB cases in the developing world, around one billion people. Our aim is to roll out inexpensive diagnostic kits and get those people the treatment they need before the condition flares up. Thanks to our partnership with live diagnostics business Qiagen (listed on NYSE at just under US$10 billion) we’re one step closer to developing affordable TB diagnostic kits. Qiagen has been making progress in this space with its QuantiFERON-technology, which is a TB diagnostic solution that’s on track to book around US$300 million by 2020. Ellume has been able to blend Qiagen’s tech into its own to create something that’s far more affordable and practical. Qiagen have taken an equity stake in Ellume and we’re really excited to see what the future holds moving forward. 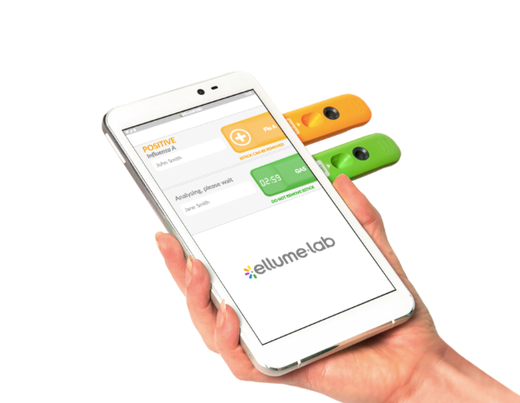 Our third line of products is under the Ellume Labs umbrella, which utilises the same principles as our flu and TB kits but is put into the hands of GPs and the like to diagnose common conditions like tonsillitis. These devices also provide doctors with concise information on the diagnosis and can be synced with patient records to create a seamless digital medical tool. These products will be rolled out in mass markets like the US in due course, and we look forward to providing more information around that soon. JW: Amazing - how do these devices work? SP: The core tech behind our diagnostic kits is a fluorescent nanoparticle that’s based on something called a quantum dot. A quantum dot is a nano crystal which absorbs short wavelength light (ultraviolet light) and as it absorbs that light it bumps an electron into a high energy state. As it falls back down it releases another photon of light that is a longer wavelength (red wavelength/infrared wavelength). What this means is we now have this nanocrystal particle inside our tech that enables us to measure signals coming from an assay/sample, using light as the measuring source. I think the neatest thing about this tech is we’ve managed to develop it at an incredibly low cost. Making the tech we created at $1,000 per unit is easy but doing so at five dollars a unit (which we’ve achieved) is exceptional. As a result, more people in need will be able to access our kit. You can have the greatest product or solution in the world, but if the masses can’t afford it then you’re losing out on half of your market share before you even begin. JW: Are you looking at expanding your solutions/tech into other disease detection/diagnosis down the track? SP: The short answer is absolutely. When you look at the advent of google and the online health services and websites that have come out of that, people have become more proactive about their health which has really created a demand for what Ellume is building. The long answer is we need to stabilise our core diagnostic kits first and then reassess after the fact. Obviously it’s not going to work with everything, if you think you’ve got appendicitis then chances are you will head straight to the ER, but we definitely think there are other conditions that this solution could have tangible use in. One area we will look at closely in the future are STIs and STDs, easily treated conditions like chlamydia are on the rise and that’s a trend we want to reverse. Around 25,000 American women become infertile every year due to chlamydia, which is an avoidable tragedy. If we can find a way for people to test themselves in the safety and comfort of their own home then that’s a win. It’s all about the least path of resistance and providing a cost effective solution. 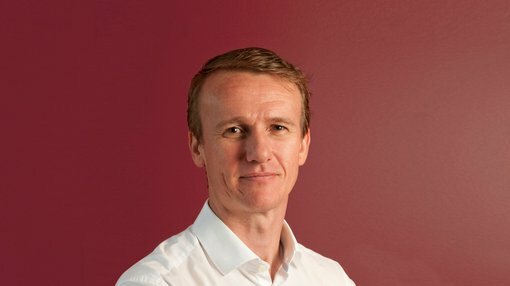 JW: You’re likely to IPO later this year – why do you want to take Ellume public and do you remain on track to list in 2019? SP: There’s a lot of hurdles to jump through yet, but we are on track to list by the end of 2019. We’re eyeing an ASX listing first – we want access to greater capital, and we believe floating is the best way to achieve commercialisation of our products, especially in the US. Note: If the Ellume, ASX IPO is undertaken, the relevant Offer document will be made available when the securities are offered. Potential Investors should consider the Offer document in deciding whether to acquire the securities. Anyone wishing to acquire the securities will need to complete the application form that will be in or will accompany the Offer document once released. JW: Well that does us for today, I’ll be watching your progress closely. SP: Thanks Justin, take care.